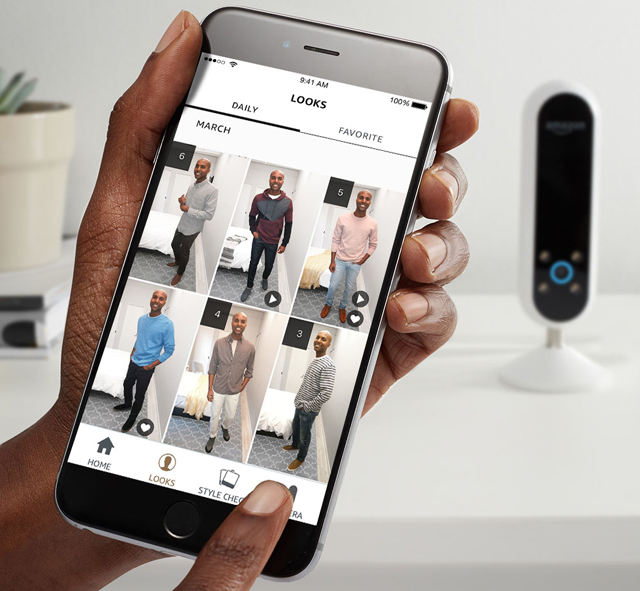 Amazon’s latest addition to its Alexa family, the Echo Look ($199.99), is a voice-activated camera that dispenses fashion advice. It can be used to shoot photos of your outfit and get advice from experts on what you should wear. Over time it can help you organize and even revamp your whole wardrobe. Imagine that the Echo Look wakes you with an alarm, gives you news headlines and provides a traffic report so you know when to leave. It tells you your daily schedule and the weather. All of this can be done with any Alexa device. But the Echo Look goes one step further. It will also help you choose your outfit. Wonder which blouse or shoes would look better? You can upload the options and get advice from a fashion expert. The Echo Look has a depth-sensing camera with LED lights to be sure that you are in focus while your background is blurred. It has a standard tripod socket so you can mount the camera to the wall in case you don’t have a dresser or surface of the right height. When you want to take a photo, simply tell Alexa. The will photo show up in the Amazon Look smartphone app and the Style Check feature will help you to choose between two outfits. Take a photo of one outfit, then try on and take another photo of the alternate and send them in to Amazon’s fashion specialists to get their opinion. Style Check combines machine learning algorithms with advice from their team of fashion experts. The service bases its recommendation on current fashion trends and the style of clothing that flatters you. 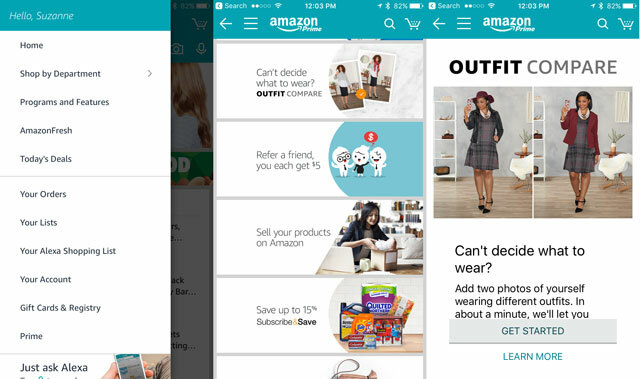 If you want to try out the Style Check feature, there’s a similar feature called Outfit Compare available in the Amazon shopping app for iPhone. Tap on the menu icon in the upper left corner and choose “Programs and Features.” Open Outfit Compare and shoot two selfies wearing different outfits or variations on an outfit and submit the photos. It takes a few minutes to get a reply—about enough time to get a cup of coffee or do your makeup. A check indicates which outfit the experts preferred and whether it’s a close call or if one outfit is a far better choice than other. Click on which outfit you ultimately chose to help make future decisions. The Echo Look can also give you a better view than your full-length mirror. Because it is voice activated, you can turn your back and tell it to take a photo or tell it to shoot of video of you as you slowly turn in front of the camera to be sure you look put together from every angle. The app will save your photos to create a “lookbook.” Here you’ll be able to see what you wore on a specific date so you don’t repeat an outfit that you wore to a client meeting or your friend’s last party. And, you’ll be able to see what accessories and clothing combos work best. Amazon will also offer links to brands (including its own) and styles of clothing that match your look. Last year I hired a stylist to go through my closet and advise me on which clothes looked good on me and how to put together outfits with what was left. Here’s hoping that the Echo Look is like having her in my bedroom to help me dress every morning. 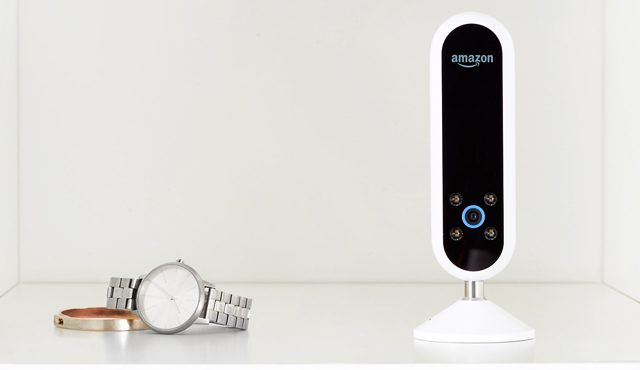 The Amazon Echo Look ($199.99) is available on an invite-only basis to Amazon Prime members for now. The echo look does NOT have a tripod mount. How do I connect to echo look to a standard tripod?